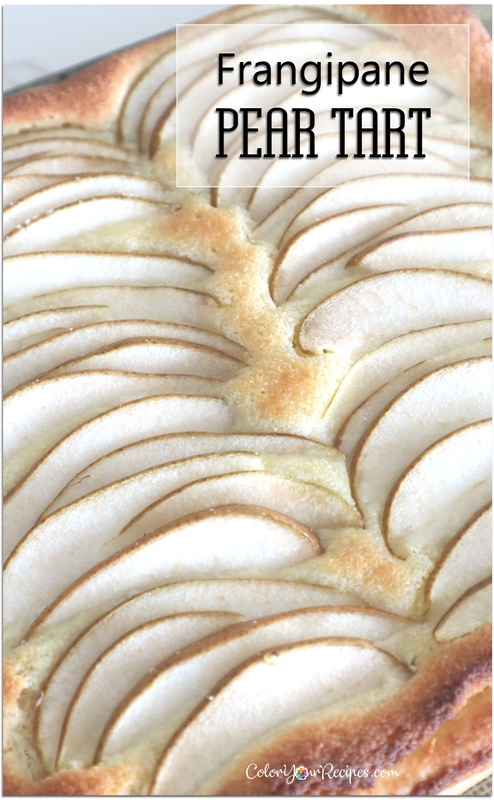 Although this is dessert resemble a cake it is not a real cake. 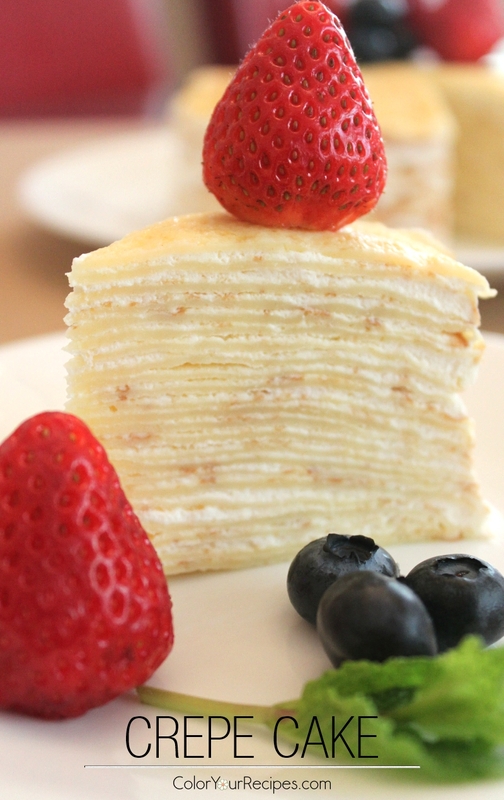 The “cake” is made of layers of crepe in between pastry creme. The intense hands on are mainly when cooking the crepes one by one…and making sure that they do not tear up. I patted myself on the shoulder when cooking the crepes, somehow, from the very first to the very last crepe, they all came out intact…phew! 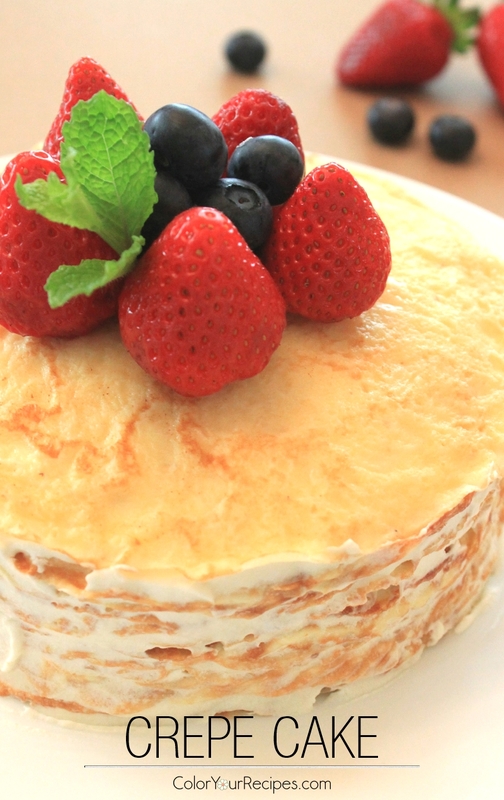 I gave myself some room for error, since there was none, the crepe cake was made of exactly 23 layers…I was “wow”, that is cool! Melt the butter in a small pan until lightly browned remove immediately from heat and set aside. In another small pan, warm the milk until steaming, remove from heat and set aside to cool slightly. 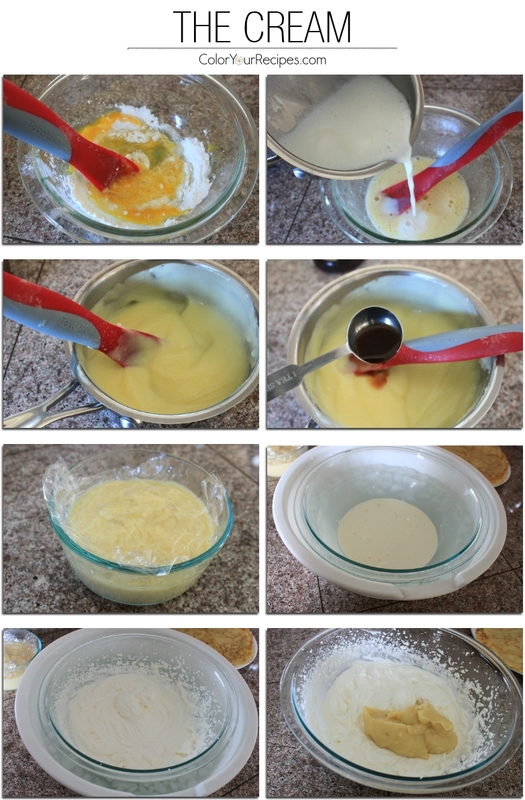 In a medium bowl using hand mixer at a low speed, mix together the eggs, flour, sugar, and salt. Slowly add in the warm milk and browned butter. 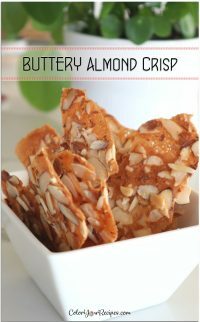 Cover the bowl and refrigerate overnight. In a small bowl, add egg, flour, sugar, and cornstarch, mix well until a smooth paste forms. In a saucepan over low heat, bring milk almost to a boil and slowly whisk the milk into the egg mixture. Return all ingredients to the saucepan, over low-medium heat, cook until the cream has thicken, by stirring constantly stirring. Make sure that the cream boils. 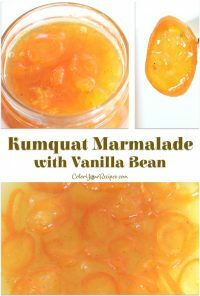 Remove from the heat and add vanilla extract .Set aside and cover with a plastic film to cool.When the cream has cooled refrigerate overnight. 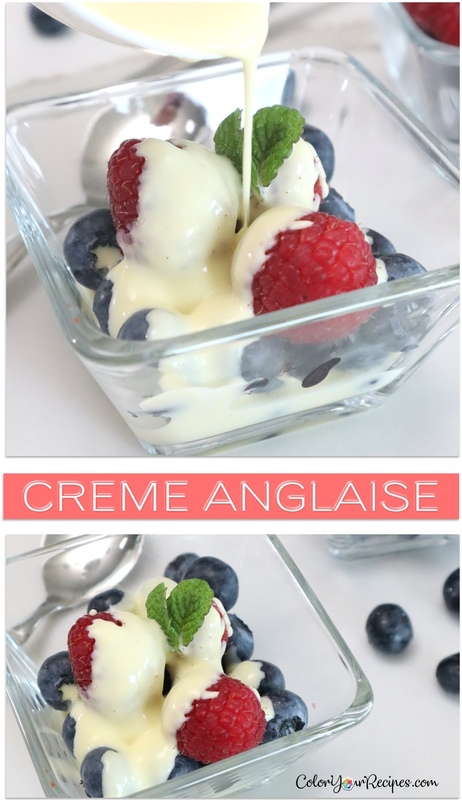 Remove the crepe batter from the refrigerator and bring to room temperature. Set two large flat plates aside to layer the crepes. 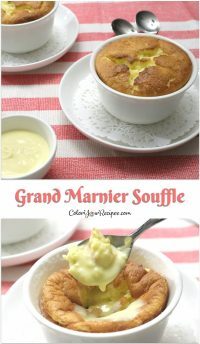 In a 6 ½ inch lightly oiled nonstick pan over medium-low heat pour ⅛ cup of crepe better, swirl to cover the pan surface. Cook until the batter has settle and becomes lightly browned. Gently using a spatula turn the crepe over and continue cooking until the other side is lightly browned as well. Remove the crepe and set on the plate. 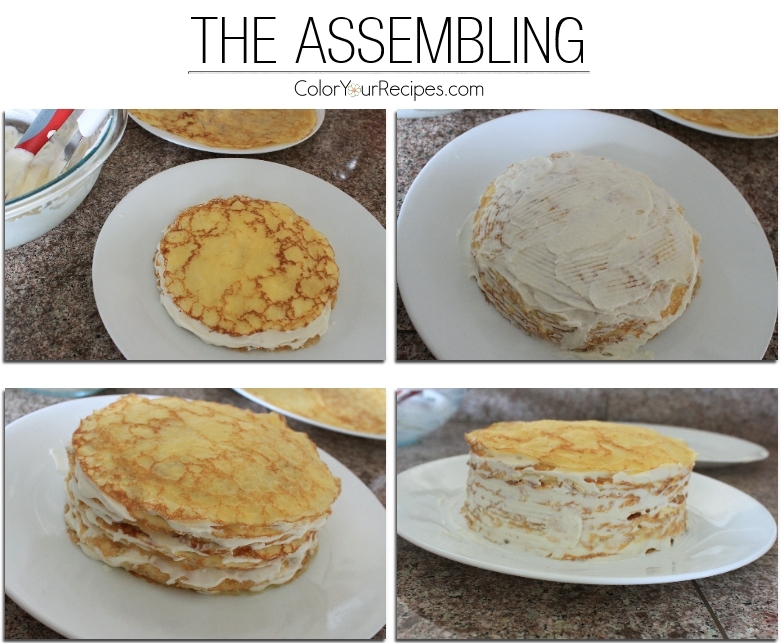 Make sure to not stack the crepes on top of each other. I alternate the crepes on the two flat plates. 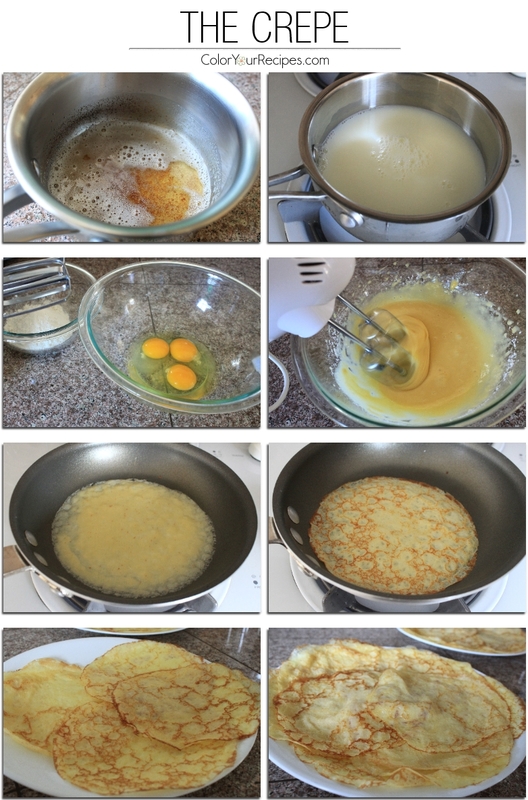 Repeat the process until all the batter is gone (I was able to make exactly 23 crepes). In a large bowl whip the heavy cream with the sugar and rose water. Fold gently the prepared chilled pastry cream with the whipped cream. 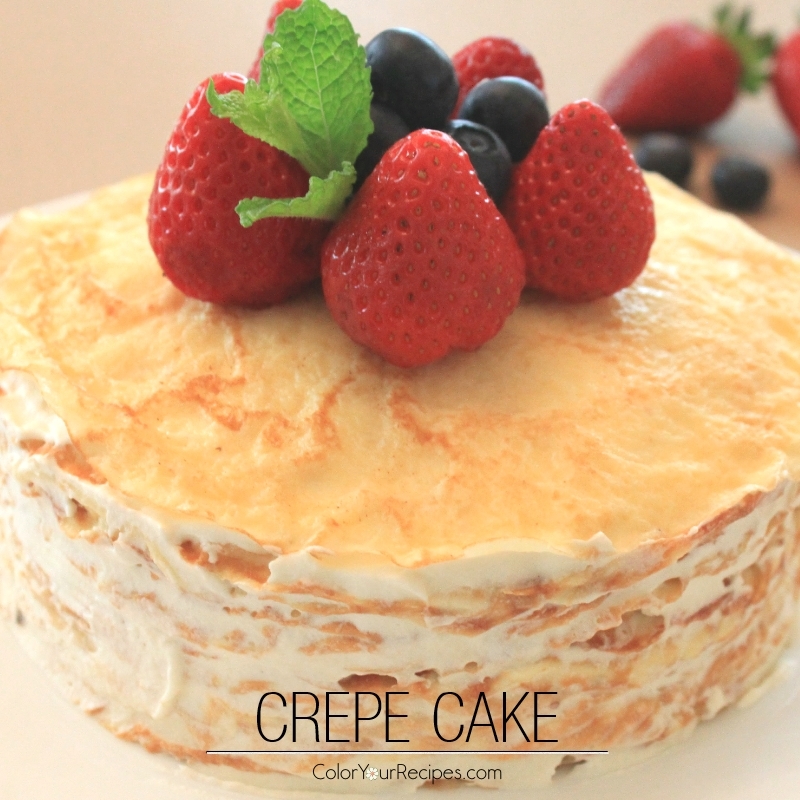 Place one prepared crepe on a large cake plate. With a spatula cover the crepe with a thin layer of the pastry cream mixture. Cover with another dry crepe and repeat covering with the pastry crème until you have used up all the crepes (23 layers). Do not cover with cream the last layer of crepe. Refrigerate the prepared cake for a minimum of 2 hours or overnight. Before serving remove the cake from the refrigerator. 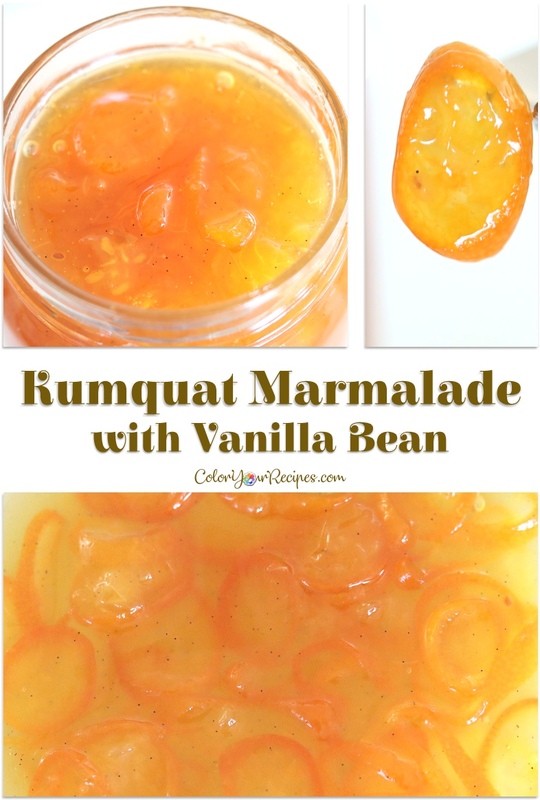 Garnish with fresh fruits, compotes, jams or dust with powdered sugar. 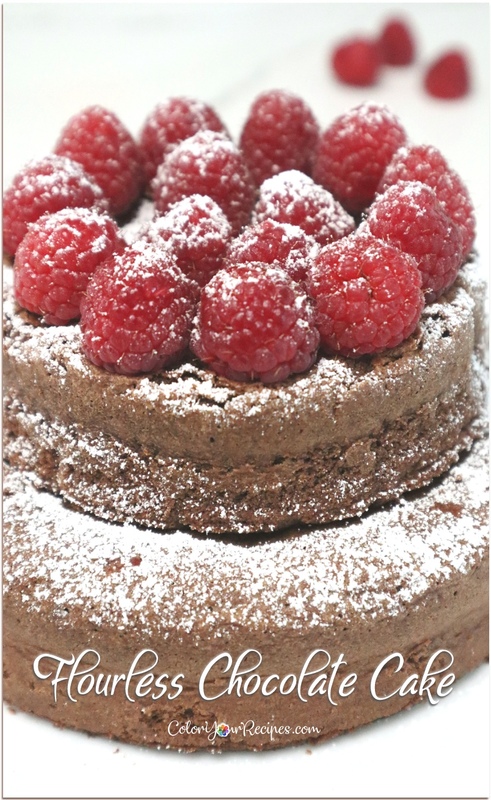 If you enjoy this fun way of making cake, you might want to try Ice Cream Swiss Roll. Did you know that in many countries, crepes are also known as pancakes? 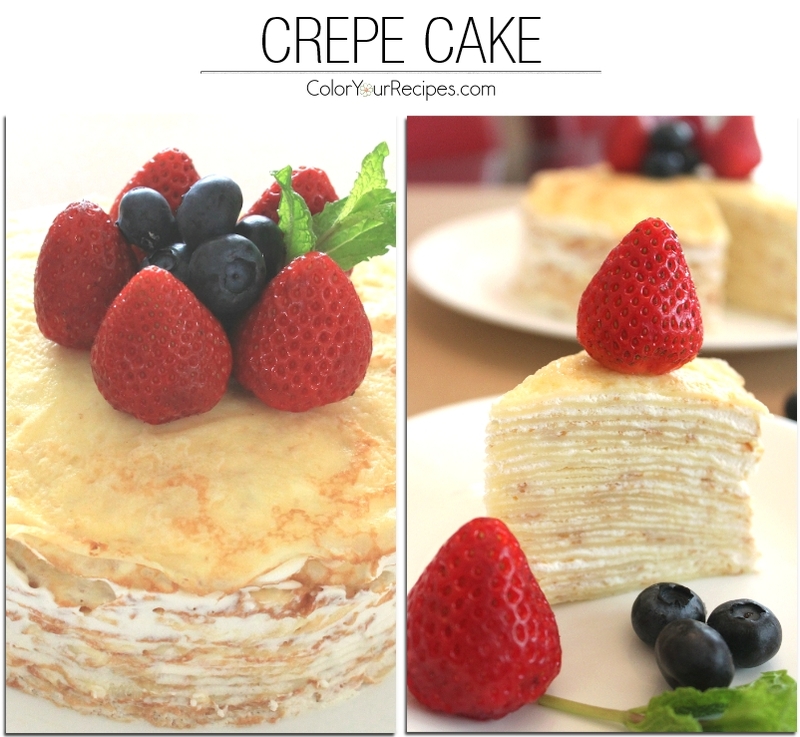 Crepes varies from sweet to savory. 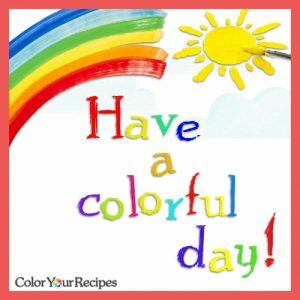 Thank you for stopping by Color Your Recipes…have a colorful week!